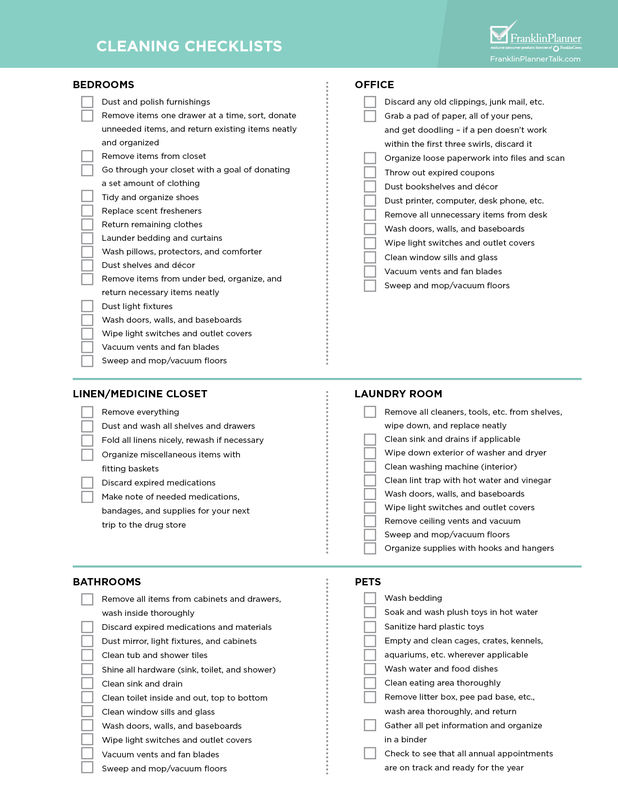 It’s time for spring cleaning, that magical time of year where you tackle the obscure organizational tasks and polish all the fine details. You have access to every part of your house, from the basement crawlspace to the attic, and, like in centuries past, you can leave the windows open and let the dust fly away on the breeze. 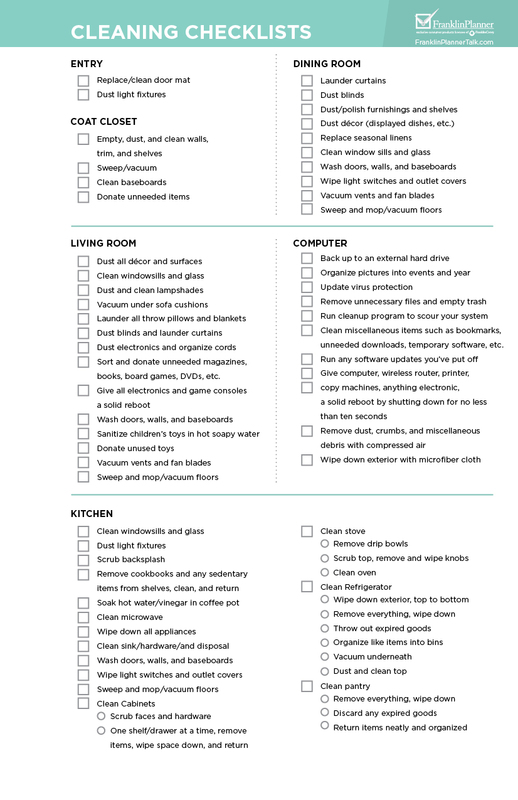 If you’re feeling intimidated by the thought of such a large project, take a minute to look over our Spring Cleaning Checklist. 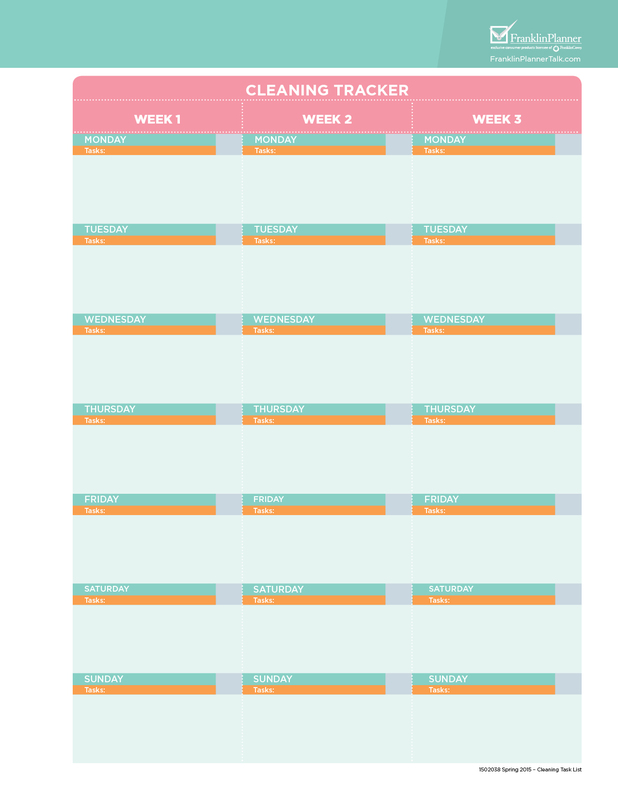 Like any other big goal, when you break spring cleaning down into individual tasks, you can schedule them out in manageable chunks. And when you set those tasks down in your planner, you can integrate them with the other events and responsibilities in your life, letting you accomplish more with fewer surprises. – Pre-purchase your cleaning supplies. 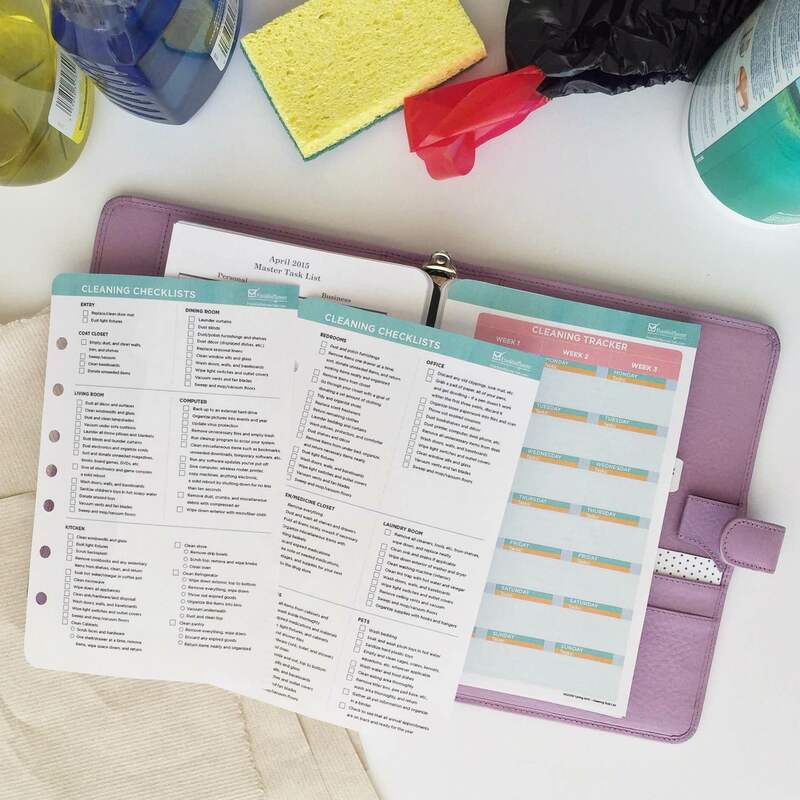 As you look at everything your home needs, write the amount of cleaning solution, dusting spray, paper towels, and cleansing wipes you’ll need in your planner. 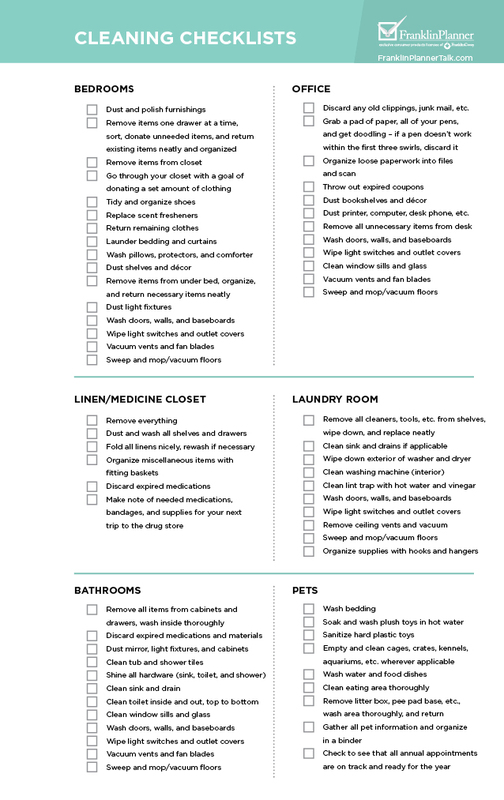 Pick them up before you get started, and you can stick to your spring cleaning schedule without surprise runs to the store for missing supplies. 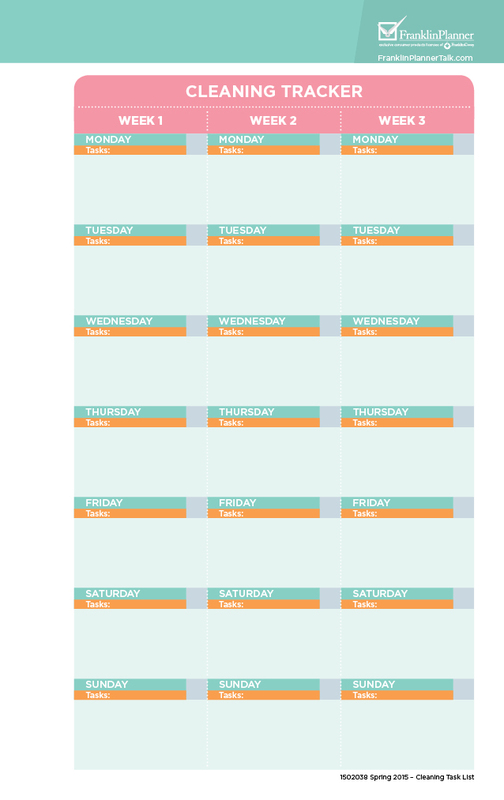 – Schedule a limited number of cleaning tasks for each day, and write them on the appropriate planner pages. Deep cleaning can be messy work, so it helps to finish one room before moving on to another. – Map out drawer contents in your planner. Then, before you start reorganizing, tape labels on drawers and cabinets showing what should be inside. 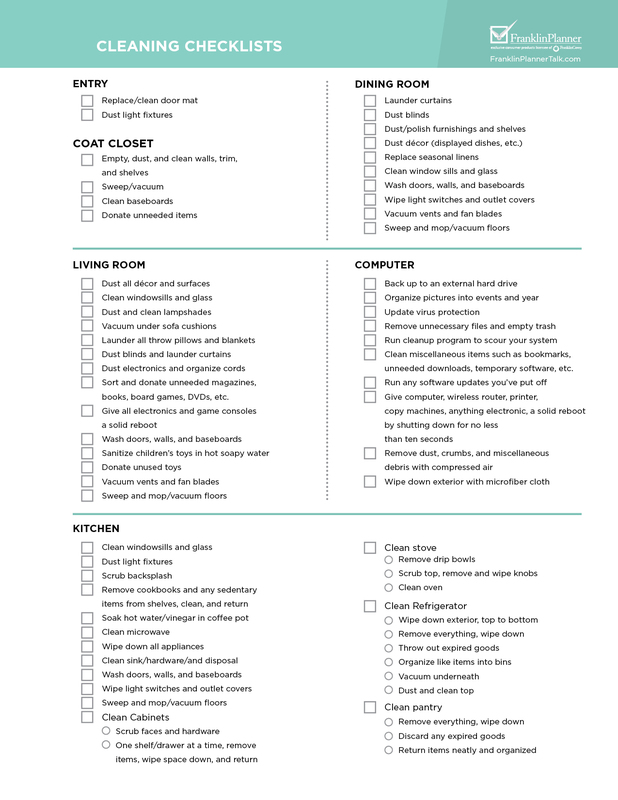 This lets your helpers put things away with fewer questions for you. 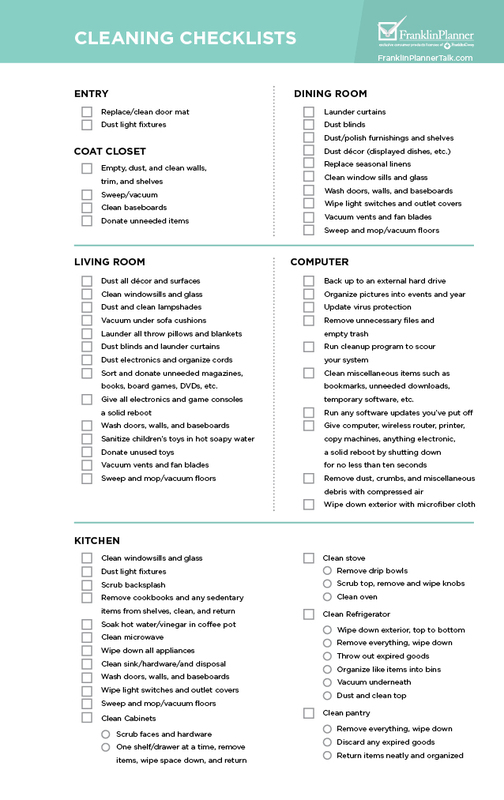 We’d love to hear how your planner made a difference in your spring cleaning. Here’s to a clean home, beautiful weather, and peace of mind this spring! 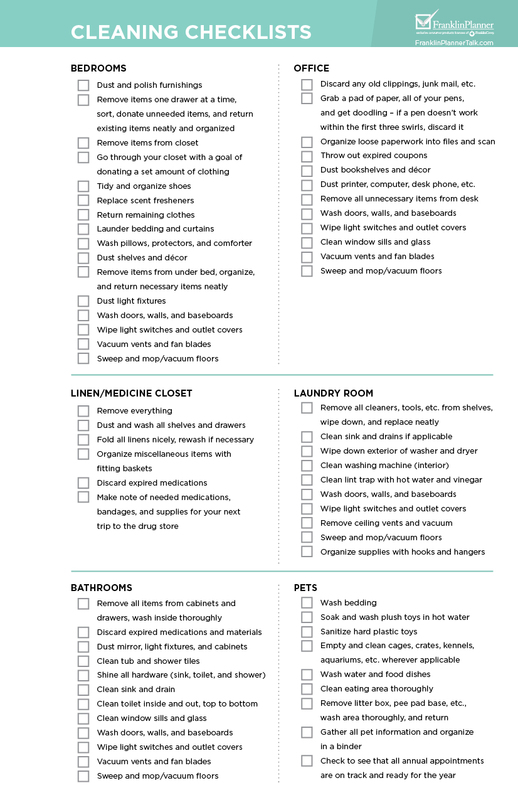 Many thanks for your Cleaning Checklists. 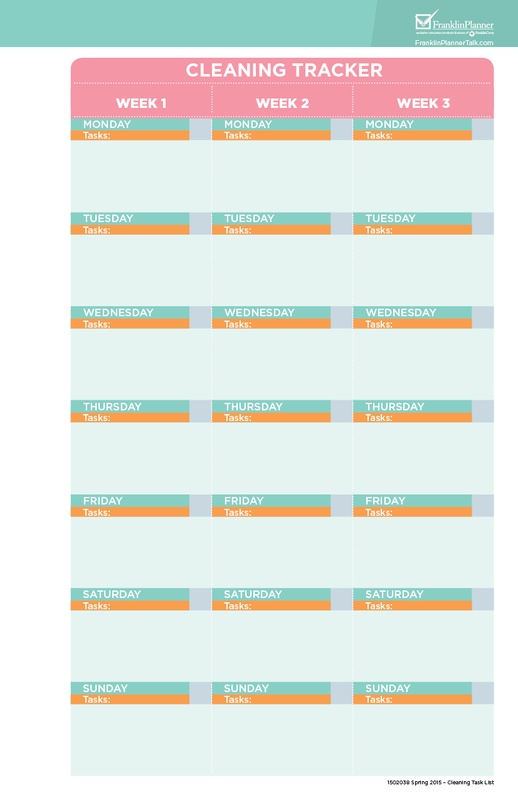 I can print out sizes to fit the planners for each family member. And the cleaning tracker page is especially handy for notes when I need to call an outside vendor! Previous PostPrevious Valuable or Sentimental?